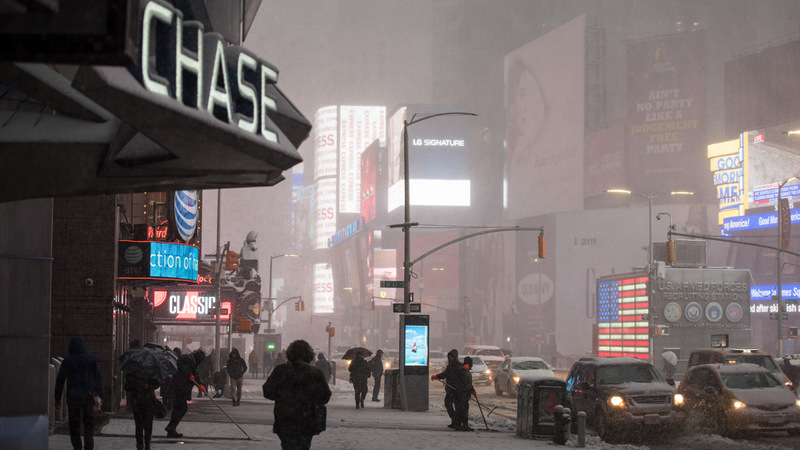 TIMES SQUARE, Manhattan (WABC) -- A major snowstorm hit New York City Thursday, bring with it blowing snow that quickly covered the city's iconic Times Square. Eyewitness News captured some 360 photos that show you what it looks like during the storm. Take a look at the different angles we captured below. Click and drag each image to move around. If you're accessing via our app, tap here to see the images in a web browser.